1. Log into your Bizzy Mama client area. 2. Navigate to the "Services" tab, and then click on "My Services". 3. Click the "View Details" button for the service you would like to upgrade. 4. 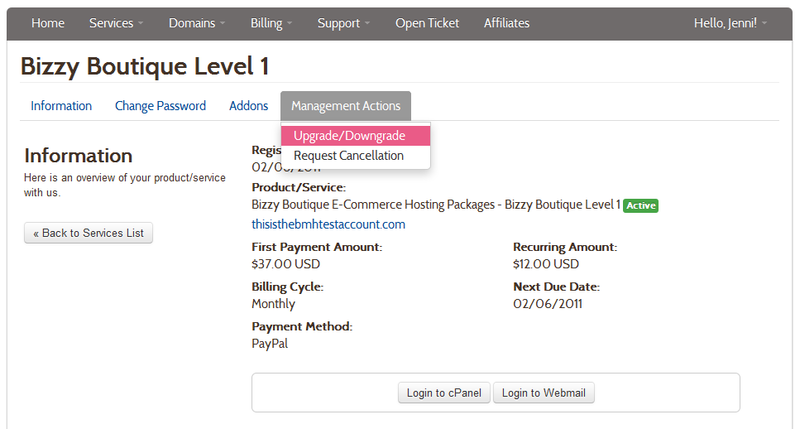 Find the "Management Actions" tab, and in that drop down menu, click on "Upgrade/Downgrade" link. 5. Follow the instructios provided on that screen to successfully upgrade or downgrade your account.